It's so easy to grab that bottle of water out of the cooler and get going, right? But what happens to that bottle after you toss it in the trashcan? What about those plastic grocery bags or the wrapping that comes on pretty much everything we purchase at the store? And have you considered how much plastic goes into the clothing we wear? Where does it all go? It turns out that microplastic contamination has been found in tap water in countries across the world, not to mention the huge amount of plastic waste found in our oceans. This plastic pollution will lead to some serious health implications if it is not dealt with soon. Tap water samples were taken from more than a dozen nations and were analyzed by scientists for the non-profit journal Orb Media. In a staggering finding, over 83% of the samples were contaminated with plastic fibers! These results are not just in tap water samples. Bottled water samples were also tested, and microplastics were found in these as well. What's even scarier is that the United States has the highest contamination rate, coming in at 94%. The fibers were even found in tap water sampled from sites such as Congressional buildings, the US Environmental Protection Agency, and Trump Tower in New York. After the US, Lebanon and India had the next highest rate of microplastic contamination. The European nations of the UK, Germany, and France had the lowest contamination rate, but it was still a high percentage of 72. These results show that the extent of microplastic contamination is not just a US problem, it has become a global one. This being said, there is no way to know what the health impact will be for humans, and that is a huge reason to research it now, so the risks can be discovered. There are two principle concerns with microplastic contamination: they are incredibly tiny and they can contain unknown toxins. Very small plastic particles and the chemicals they can harbor are definitely there throughout our water supplies, and it’s possible that they cannot be accurately measured yet. Many of them are so small that they can penetrate into a cell, and that means they can also penetrate organs, spreading toxic chemicals to our systems. Research done on wild animals shows that toxins from microplastics are released into their bodies. 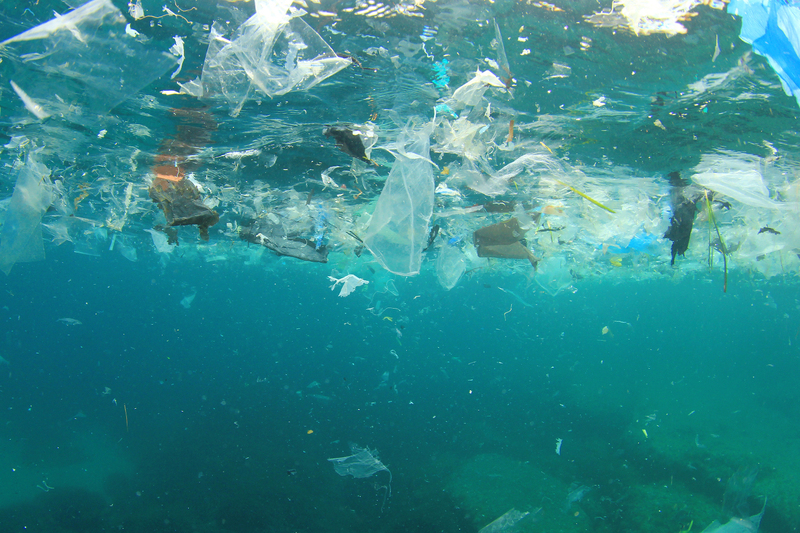 Microplastics are found in one third of the fish caught in the UK. Not only do they contaminate our seafood, they also release toxins into our bodies when we simply drink the affected water. The effects may take years to notice, but could happen rapidly once it starts. Microplastics also attract bacteria found in sewage, and some studies have found that there are more harmful pathogens in microplastics downstream from wastewater treatment plants. How Do We Fix the Plastic Pollution Problem? This is a question that we may still be years away from answering. The hard part about this problem is that the solution must include more than just recycling your water bottles or using that reusable grocery bag. Simply running one cycle of your washing machine can release up to 700,000 microplastic fibers into the environment. Rain also sweeps up microplastic and spreads it into the area. The current standard for water treatment systems do not filter out all of the plastic pollution. The studies on tap water provide scary numbers, and the problem needs to start getting fixed right now, in any small way. Our ecosystem is getting buried in plastic, and there will be consequences that will probably only be seen after it's too late. You’ve probably been told over and over to recycle. Look at the numbers though before you brush that idea off. There are almost 300 million tons of plastic produced each year, and only 20% of that is recycled or incinerated. Most of it ends up littering the air, land, and sea. This in turn ends up in your tap water, and you are drinking microplastics without even realizing it! If you want more information on whether or not to use plastic bottled water, check out Advanced Water Solution’s blog on the difference between bottled and tap water here!